Hello my gorgeous blogging community, how I’ve missed thee!! I have had so many things pop up since the last full moon, and I’m so grateful to be able to write and share with you all again. As many of you know, I have switched gears on my blog to writing only during/ after a full moon, so that I can keep my writing feeling inspired, rather than like a chore. My two day a week endeavor was starting to feel mundane, so I cut it down significantly. But here’s what: we have a lot to discuss!! I want to talk about a big topic this month, with many nuances beneath it. Let’s discuss ENERGY! Since our last full moon, I’ve been making major energetic shifts within my business and personal life. I’ve been focusing on dating more, drinking less, expanding my business opportunities, and narrowing my focus to only entrepreneurs. WOWEE! I have decided to put myself FIRST. 2018 has been full of lessons already, but the key point is that I started with the intention of creating more space for my Craft and my mental well being, so that I could fully prosper as a powerful witch and help others do so in the process. And that is how every goal should start: with intention. Now, my clients know this very well, but what comes next is the scary part. A lot of negative habits had to be destroyed in the process, and I feel like many of them have come to a close with this Full Moon. The theme of this Full Moon is a tying of loose ends. The feelings that were stirred up since the August 2017 solar eclipse have come to a sort of resolution, and for me that meant minor self sabotage in both my business and personal affairs. And while they exist on a much smaller scale than a few years ago, we can always stand to improve, right? First off, I have erected FIRM boundaries in my business. For too long I have been lax with clients, and even potential clients, for fear of losing them, but it took a real kick in the pants to practice what I preach and set rules for how I run my biz. I applied how I use boundaries in my day to day relationships and put them to use at WW, and the results I have seen are AMAZING. I wrote out a Mission Statement and Business Commandments and keep them in my planner so they are at the forefront of my mind. Second, I have been working hard on cutting down on drinking. I have always been a social butterfly, and going out and enjoying a drink has been a regular part of my life. But I’m finding that, more than it being enjoyable, it has become a chore and a form of self sabotage, and while it doesn’t look like what it used to, Shawn 2.0 just isn’t here for it. It’s going to be a journey, but my intention is behind mindfulness 100% in 2018. I always find that being honest in your journey and focusing on what really needs healing is the only way to get lasting results. Cutting corners and racing to the finish line is never going to make you feel fulfilled at the end of the day. So I hope my transparency doesn’t scare you, but rather inspires you to be honest with what you TRULY need to work on. Cuz honey, there’s always something. So since I’ve been traveling through my destruction stages (The Tower and The Devil have been Tarot stalking me) I have kept my sights on the light at the end of the tunnel. I’ve already seen fantastic bouts of abundance as I work honestly through my “up-leveling” and can’t wait to see what’s in store the next go-around! I have manifested a speaking opportunity on a Summit of over 1500 women, a feature in a print magazine, new sponsors for my podcast, AND MORE. These mindset shifts are so important, and it takes guidance to stay on top of them. So I invite you dear, to ask yourself, what needs to be destroyed today? What are you unavailable for? How can you become a better you? 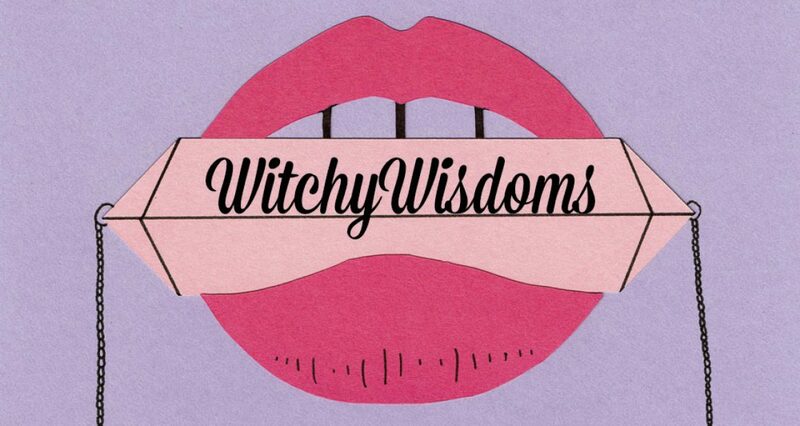 Previous Happy New Year from WitchyWisdomsHQ!! I stopped drinking over 18 years ago. I chase nothing else so when I do socialize I LISTEN. That really clears out all the bullshitters and people you don’t want. Thank you for giving me a chance to find this. Very inspiring to look within and ask myself. Please keep up with your passion and may you have happiness and joy in all areas of you light. Saying “no” is still something I struggle with because I never want to disappoint anyone, but I think defining and sticking to your own personal boundaries is a big first step! Great post!